With record-breaking sales over the year in the smartphone market, Google has smartly been able to claim success with the development of Android Operating System. 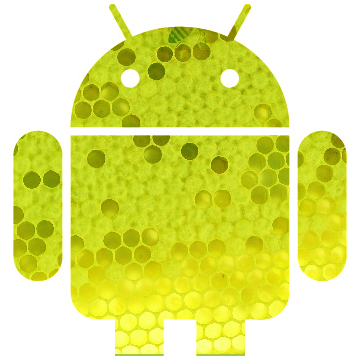 According to the latest data, Android now has the command of over 29% market share of smartphone users in the US. Even though, the percentage might not look so dominating, the Android OS has toppled all competitors of smartphone operating systems. BlackBerry’s smartphone market share fell to 27% whereas Apple’s iOS platform remains at 27%, making way for the Android to grab the top spot. Others to follow, the Windows Phone 7 carries the 10% share, Palm OS at 4% and Nokia’s Symbian platform sinking with having only 2% of the market share. The biggest loser has been the Symbian platform, which clearly outlines that almost none of the users in the US carry a Nokia phone. Witnessing a release every other day of a stylish smartphone, Android is the only platform being witnessed and chosen widely. Even though, thousands of companies opt for a BlackBerry smartphone which clearly meant business, it seemed almost impossible to ever dethrone the OS. Not expected but now reality, enterprise customers have started switching over to the new consumer platforms, Android or iOS. Nokia’s Symbian platform has been regarded as the biggest loser, BlackBerry is seen on the same track with the number of users declining, while Apple’s iOS has not witnessed a growth neither has it fallen. The one and only Operating System, Android, has seen massive growth as smartphone manufacturer’s show confidence when powering their smartphones.